It is with a heavy heart that the Edo state government received the sad and sudden death of Prof. (Mrs) Cordelia Ainenehi Agbegbaku – the first female Vice-Chancellor, Ambrose Alli University, Ekpoma who died on Thursday. 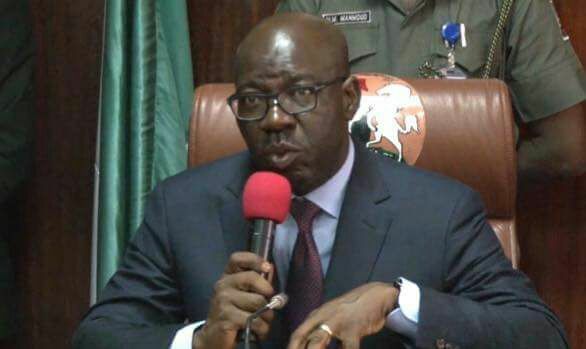 While the state government, on behalf of the people of the state, condoles with Prof. Agbebaku, Obaseki said, “I realize without doubt that her exit will leave you, members of the family and the university community with considerable trauma following the unexpected occurrence”. A letter of condolence signed by the Secretary to the State Government, Osarodion Ogie, however urged Professor Philip Agbebaku to take solace in the fact that she contributed a great deal to the development of various segments of society especially the educational sector in the state. The statement said, “Professor (Mrs.) Cordelia Ainenehi Agbebaku will be remembered for bringing direction and stability to Ambrose Alli University, Ekpoma through her leadership role as Acting Vice Chancellor and later as Vice Chancellor and as a distinguished academic of international standing. These and her other accomplishments will continue to remain fresh in our minds”. While praying that Almighty God grants her eternal rest, Obaseki conveyed his heartfelt condolences to the entire family of Agbebaku and wished her gentle soul rest in peace.